It is the year 5341. The unthinkable has happened; our universe has begun to collapse. Earth's greatest minds have gathered to create the H.O.P.E. (Human Organization to Preserve Existence). This team of elite pilots will be sent into space to navigate their ships across the vast universe. Their goal is to terraform planets before the dreaded regression wipes everything out. It is a race against the clock in this constantly evolving universe, in which every movement counts. 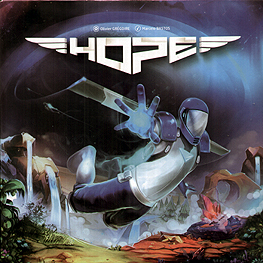 Join the H.O.P.E, and unite your forces to fight the Regression! Do not hesitate, because the Regression will not!